With a voice like a well-oiled machine, Young the Giant’s Sameer Gadhia purrs away at what should be difficult key changes and transitions with effortless ease, while guitarists Jacob Tilley and Eric Cannata rip back and forth through flawless riffs. In the background, bassist Payam Doostzadeh’s heavy yet driving bass lines work with drummer Francois Comtois’ dynamic beats to pull everything together into the beautiful, wonderful and completely amazing product that is Mind Over Matter. 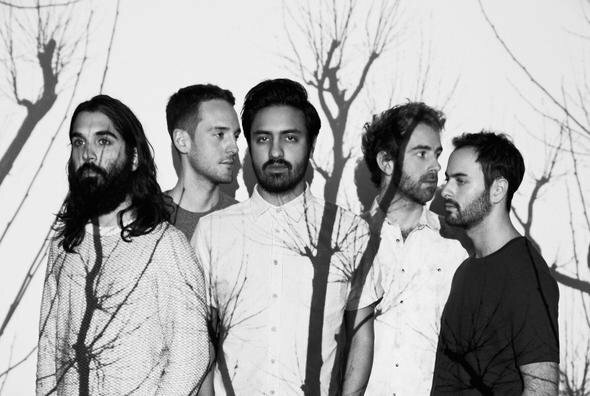 With the release of its highly anticipated sophomore album, Young the Giant has received mixed reviews from old fans and critics alike. After listening to the album, I will say that I agree with one thing that critics everywhere have been saying: one of the most noticeable things about Mind Over Matter is how different it is from the band’s self-titled debut album. Mind Over Matter definitely brings out more of the ‘rock’ in alternative rock compared to the last album. With more drum action and complex guitar riffs, it was a struggle not to get up and start air-guitaring all the ridiculously energetic riffs. With the exception of a few softer and slower songs like “Firelight,” “Camera,” and “Waves,” there’s definitely much more energy in this album overall compared to the last. On the other hand, my appreciation for what used to be Young the Giant’s completely unique sound has been lowered just a tad with the release of this new album. Mind Over Matter’s greatest weakness might just be how formulaic it seems and how similar each song is to the previous compared to the band’s debut album, which uniquely featured the ability of the seasoned musicians to slide through a wide range of musical styles from one song to the next. It’s inevitable for a change in the band’s growing fan base to occur; not everyone is going to be happy with the transformation that Young the Giant has gone through in its overall sound. Perhaps this change will allow the band to reel in an even larger, more mainstream fan base which, in the long run, will allow them breathing room to get creative without losing credibility. Despite the few changes in style, one thing that refused to change at all is lead singer Sameer Gadhia’s irresistibly exhilarating voice. Gadhia’s voice is like a venti-size cup of extra dark-roast coffee mixed in with a little hazelnut creamer: deep, rich, and heavily intoxicating. Instead of inhibiting his ability to transition keys and flow through lyrics, the power in his voice just makes his transitions even more flawless. Despite a few total key changes in songs like “Daydreamer,” his voice remains unfazed and his transitions are spot-on, effortless, and completely swoon-worthy. When it all comes down to it, old fans expecting Young the Giant to carry on with the style and feel of their last album are in for a bit of a surprise. Chances are it’ll be a good one, though, if they give Mind over Matter a chance to once again intoxicate and exhilarate, this time with a few extra guitar riffs and drum beats thrown into the mix. But whether or not they decide to ditch the band or board the ship this SoCal-based quintet is taking off in, with a raw talent and natural instinct for such beautiful, powerful, and dynamic music, it has never been a case of mind over matter for Young the Giant to generate their unforgettable sound.